Once you have decided on the home you want to purchase in the Butler area, an examination of that home by a qualified Home Inspector is highly recommended, to determine the current condition of the home and to make you aware of any components or systems that may need repair or upgrading. 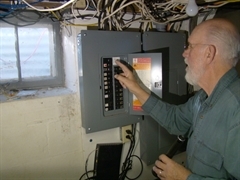 With over 31 years of professional service, Hensiak Inspection Services, Inc. is well respected in the Butler, WI, area. We have a reputation for providing client satisfaction at a reasonable price. Zip codes for Butler, WI are: 53007.